Penny’s mum Dayna tells us about their battle “Our IS journey hasn’t been easy, to say the least. 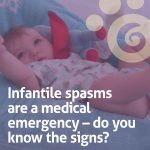 Penny was diagnosed at 9 weeks old and we quickly found out that all the typical meds used to treat infantile spasms weren’t going to work for her. 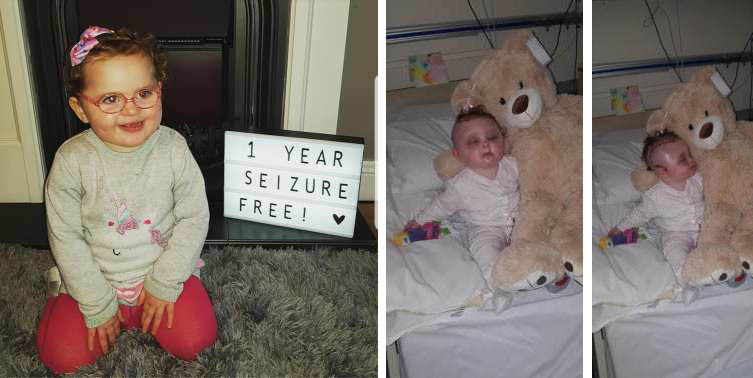 The cause of her seizures was a cortical dysplasia of her temporal lobe and she had developed focal seizures as well as spasms. Medication wasn’t helping and she was having up to 100 spasms and up to 30 focal seizures daily and regressing in development. At 9 months old our neurologist said her condition was too complex for him to handle and he felt surgery could be the only option for her. 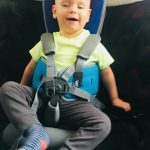 He referred us to an epileptologist who performed a range of tests and an intense surgical evaluation to see if surgery would even be possible. Thankfully her dysplasia was located in the temporal lobe and they felt as it was clearly visible to them they could remove it. 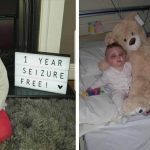 We were told that if successful she would have a 80% chance of a major reduction in seizures and 50% chance of seizure freedom but also that there were huge risks involved with the surgery. 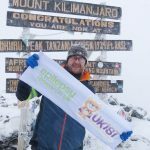 The risks for Penny without surgery were far greater – as it stood she was at great danger of sudden death to epilepsy. With the severity of her seizures they couldn’t give us an expected life span for her and however long she would live she would have severe disabilities so we made the decision to go ahead with surgery. Finally 4 months later the day had come – we kissed our baby and handed her over to the surgeon at 9am and we didn’t get to see her until 5pm when she arrived back at intensive care after her surgery. They were the most painful hours of our lives not knowing if our baby would come back to us .. but she did and the surgery was a success. She had a hard couple of weeks healing after surgery but she battled through it and went from strength to strength gaining development back, hitting milestones we never imagined she would. On Oct 24th we celebrated 1 year since her surgery and 1 year completely seizure free.” I’m sure you’d like to join us in congratulating Dayna and family on reaching this milestone. The resilience of these children is truly humbling.